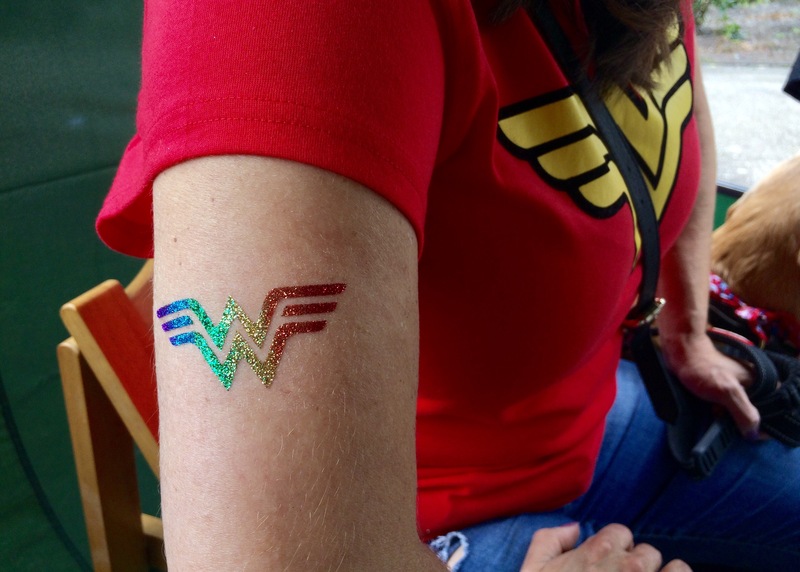 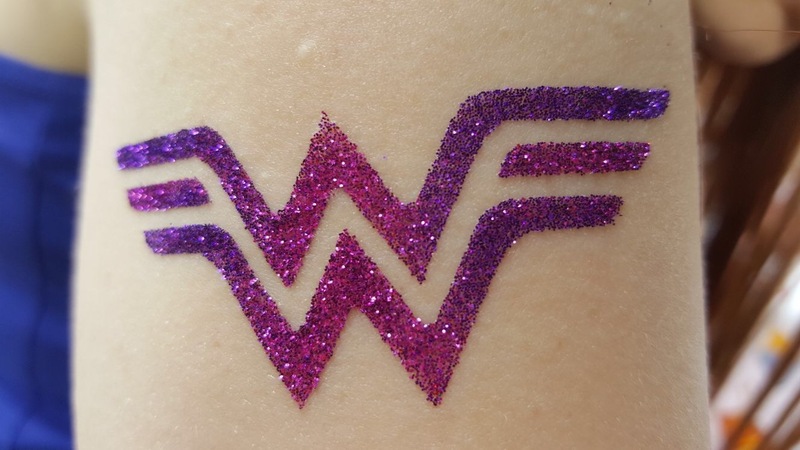 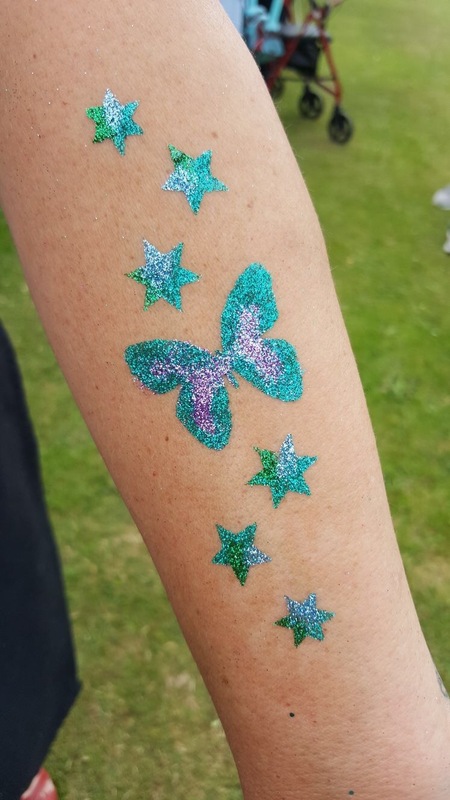 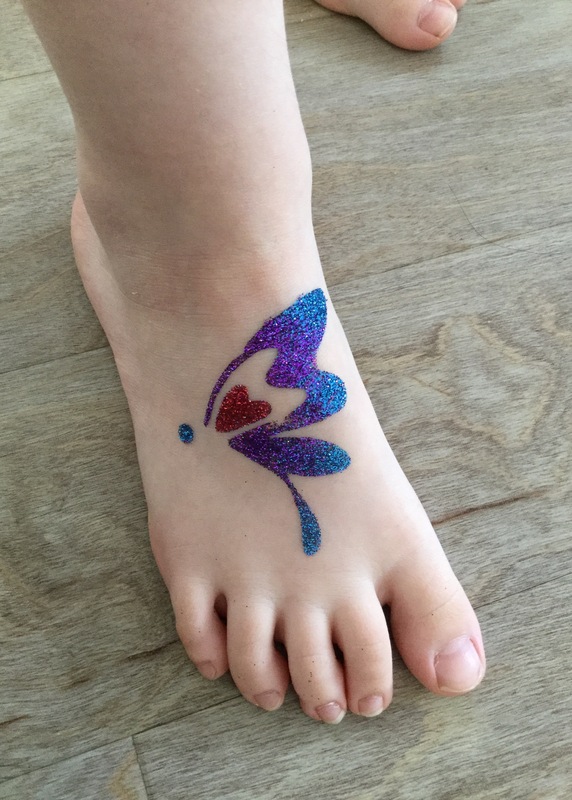 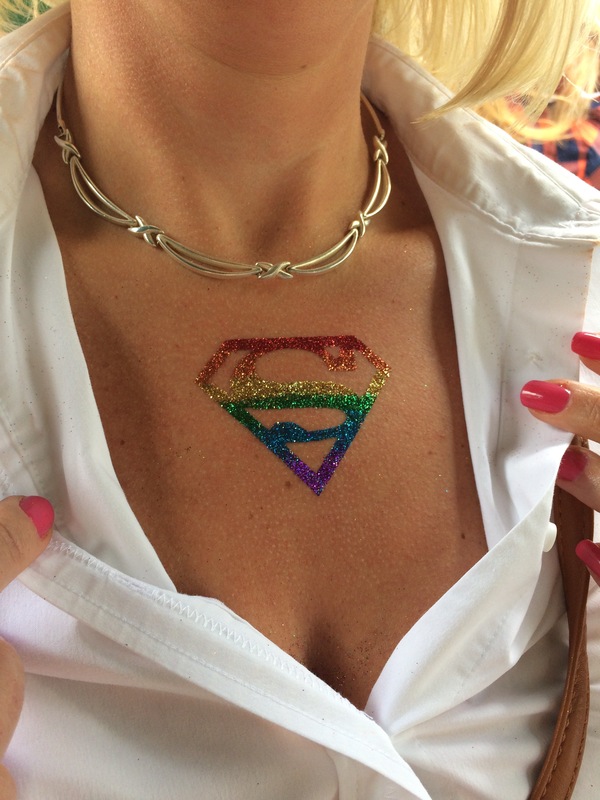 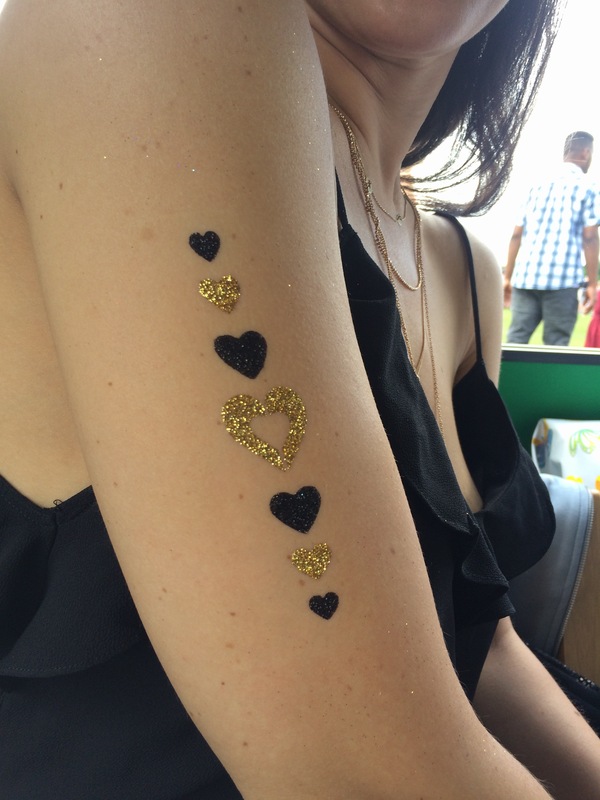 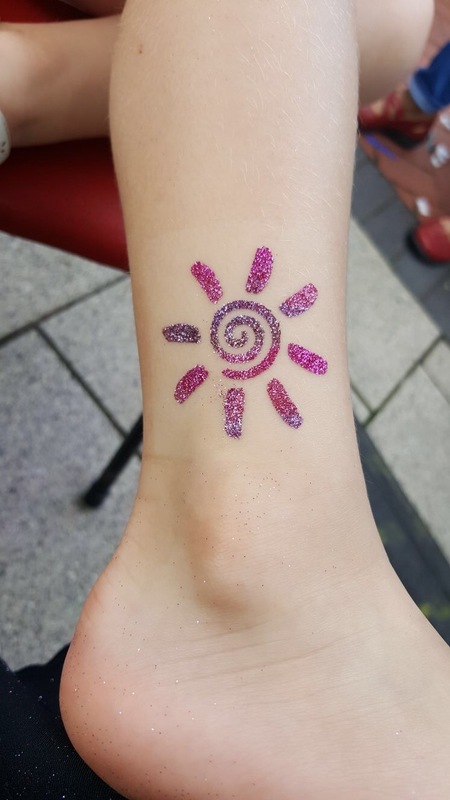 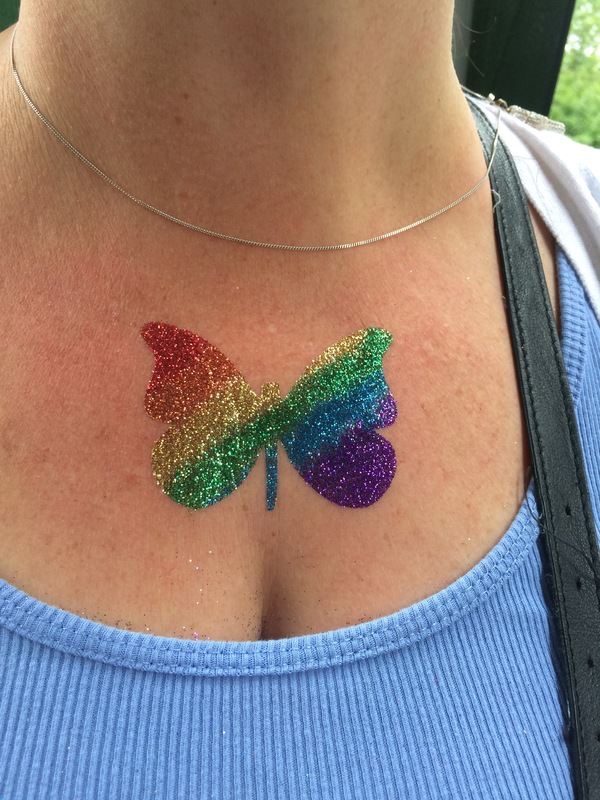 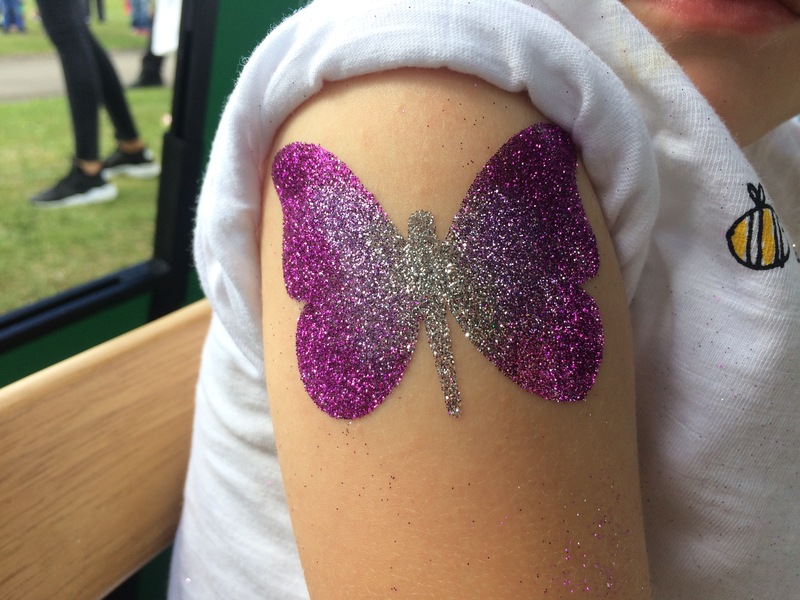 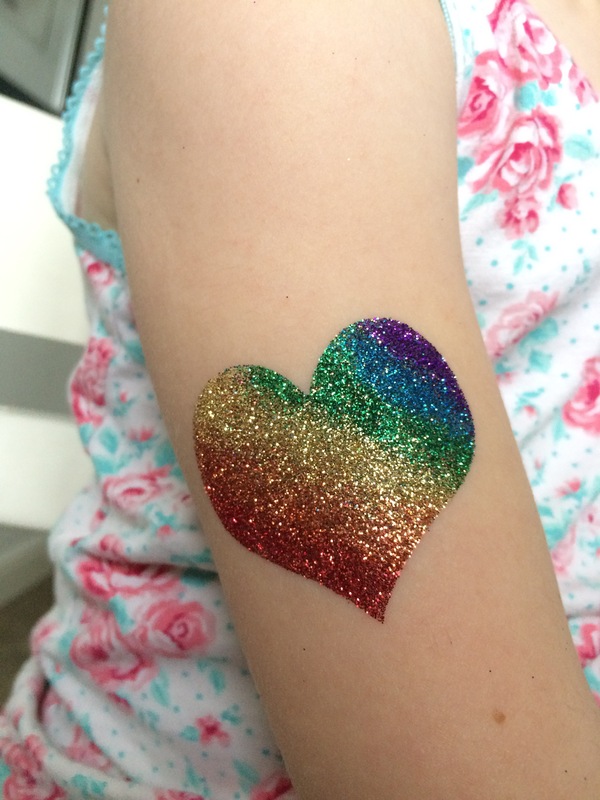 All that Glitter offers a wide variety of glitter body art including festival style glitter face and body make-up and glitter tattoos and we can create custom glitter tattoos for themed events. 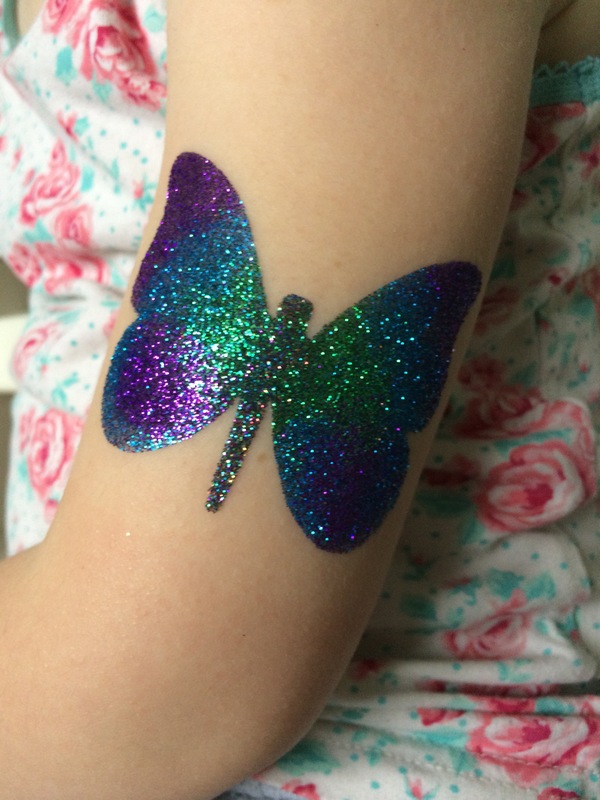 We only use cosmetic grade hypo-allergenic products and we are fully insured and DBS checked. 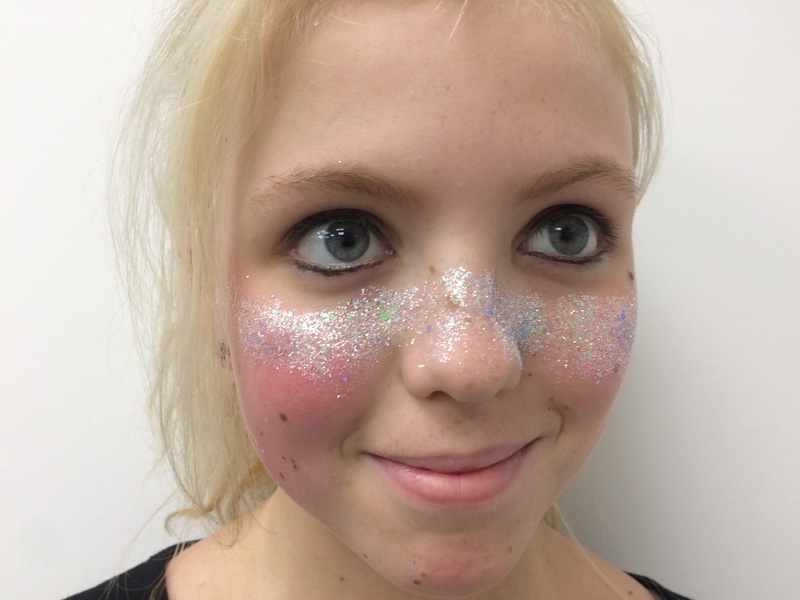 We are experienced in working with children and absolutely love what we do. 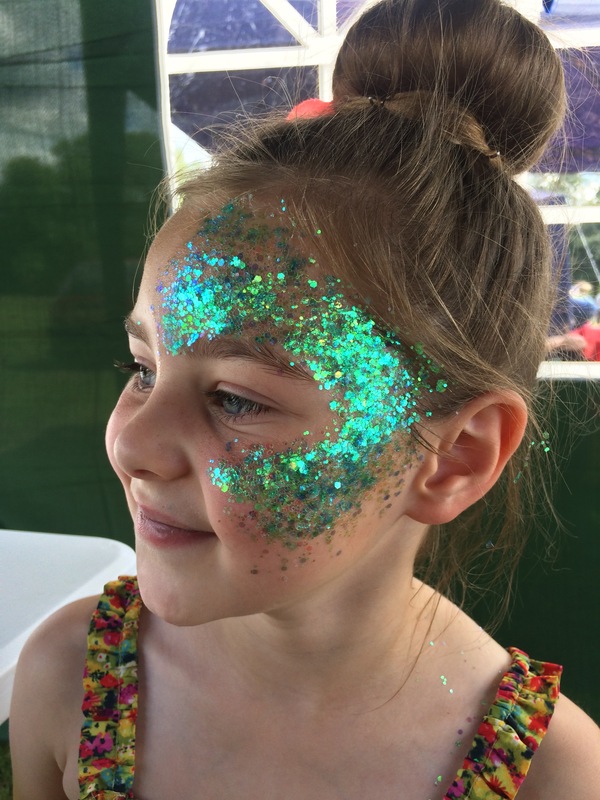 We are available for parties and events of all kinds, community events and private hire. 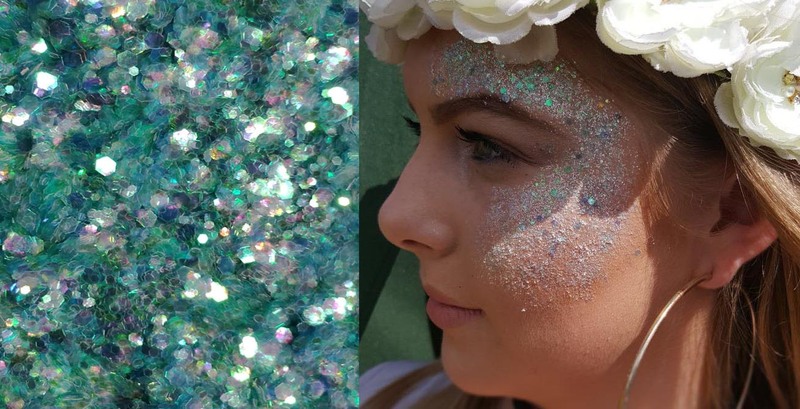 Whether you have a big party planned or are going to an important event and you need some extra sparkle we have a package for you. 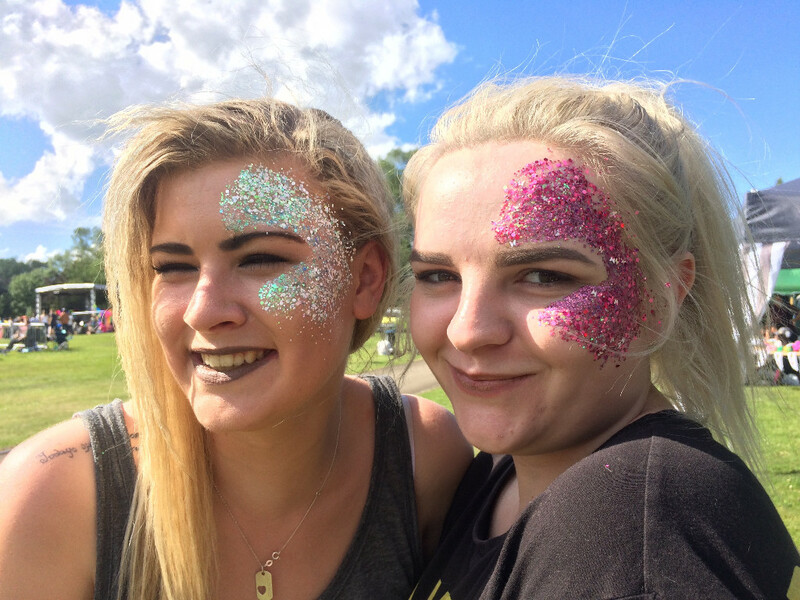 Just get in touch and we will be happy to send you a personal quote tailored to your needs. 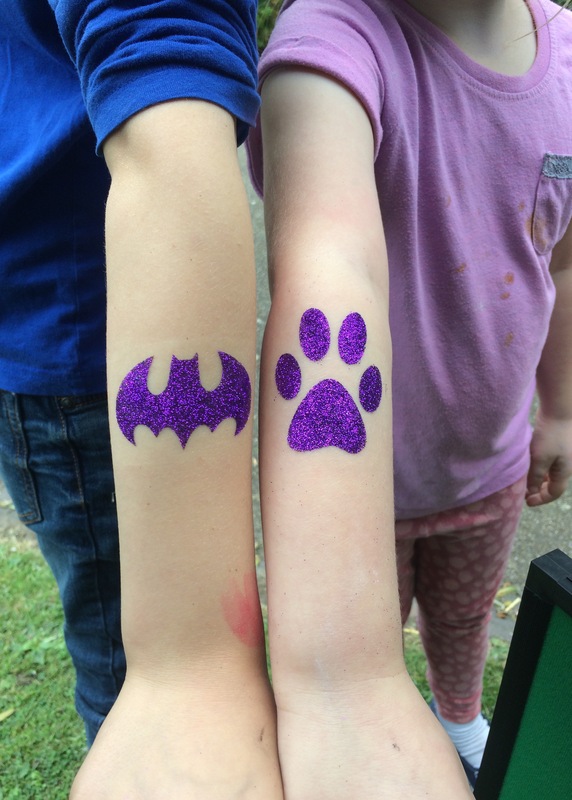 Based in North Staffordshire we cover a large area from the West Midlands to Yorkshire and Lancashire. 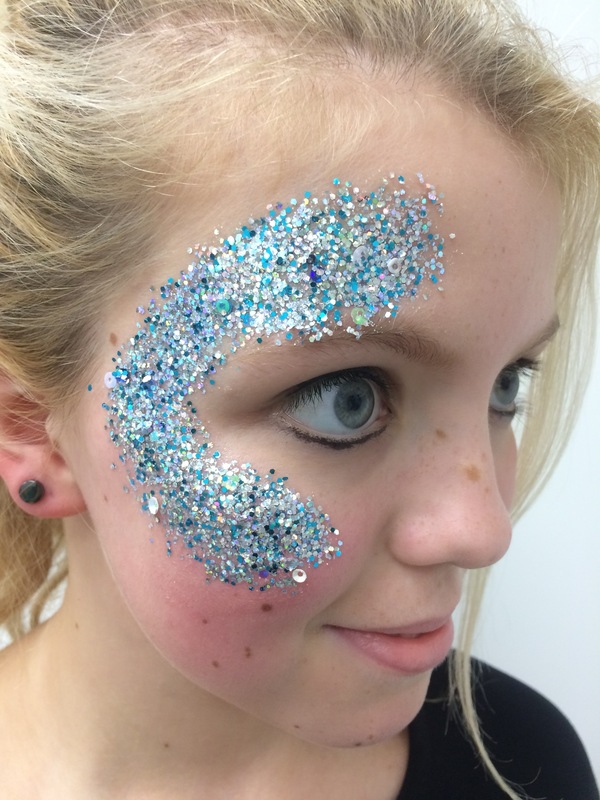 If you would like us to bring some extra sparkle to your party or event then just fill in the contact form with a brief description of your event, the date and location and your contact details and we will get in touch.